Being a biker comes with a particular prestige, an ironclad commitment to being free and being upstanding. The bikers that we know help and promote philanthropy, serve as models of the American dream for freedom and live high in the palms of the world’s abandonment. However, this weekend in Waco, our biker nation was served a wound and we are still trying to stop the bleeding. All local law enforcement remains on high alert. And on edge. The good news is that local stores began opening back up as of this morning. 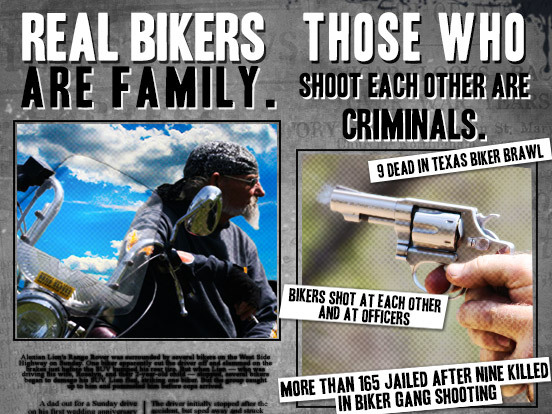 The concern, of course, is retaliation by biker gangs. Right now it is believed that at least 5 biker gangs are involved. This is certainly a black eye for bikers everywhere and our hopes and prayers go out to everyone involved on behalf of Biker Planet.